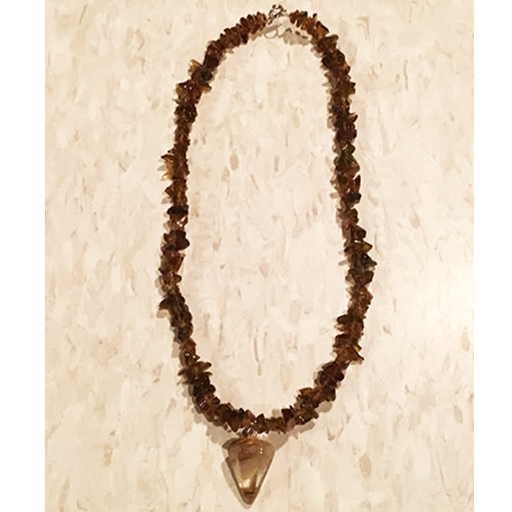 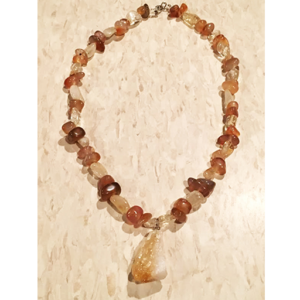 Smoky quartz pendant, brown crystal beads in a lovely 16″ chain. 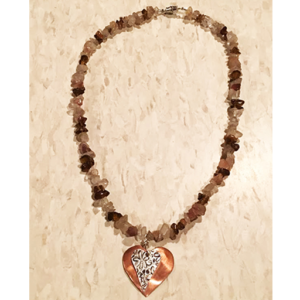 Smoky Quartz, usually with Dolomite or other minerals attached that enhance its shielding and detoxifying properties. 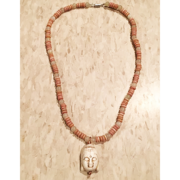 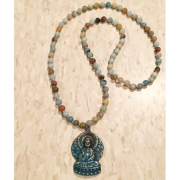 It gently heals emotional conditions and trauma, overcomes lack of trust, and supports one in coping with stress and strain. 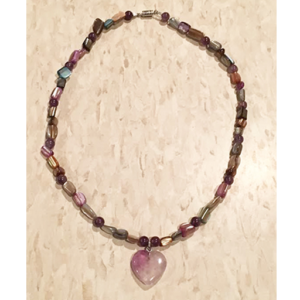 This necklace is the perfect gift for birthdays, Valentine’s Day, or just about any other occasion. 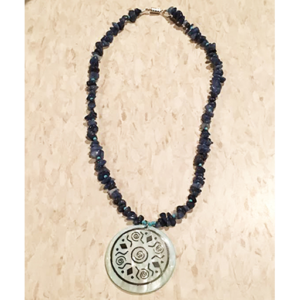 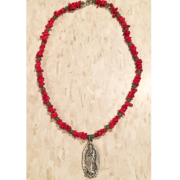 Think about buying a one of a kind piece of jewelry as gifts for women who love to express their unique taste and connectedness.